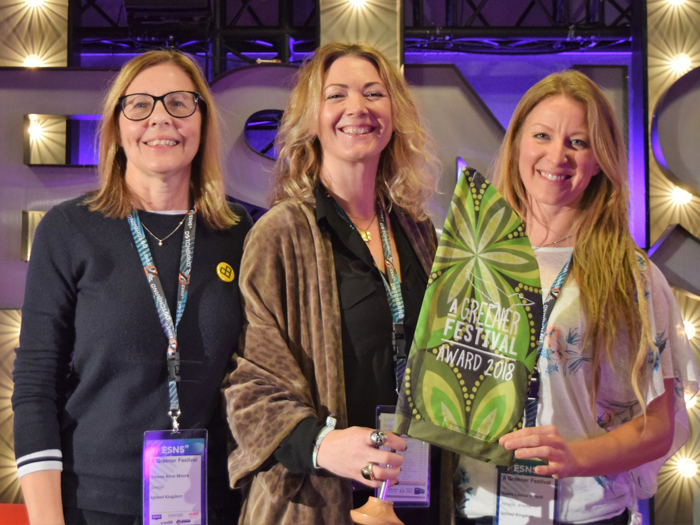 NETHERLANDS: International not-for-profit organisation A Greener Festival (AGF) has announced the 35 recipients of its eponymous Awards for 2018. 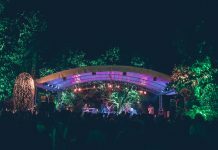 Festivals and events from 14 countries achieved the prestigious accolade in 2018, which is awarded to those events and festivals that have demonstrated conscientiousness with regards to sustainability and a reduction in environmental impacts in 11 areas including transport, waste, power, water, and the local area. Applicants undergo a rigorous assessment, site visit and post-event analysis of their event’s sustainability actions. The awards ceremony was held at Eurosonic Noorderslag, Netherlands on January 18 2019. 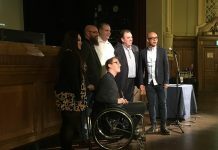 AGF Directors Ben Challis, Claire O’Neill and Teresa Moore presented awards to the worthy recipients that included Das Fest (Germany), DGTL Amsterdam (Netherlands), Pohoda Festival (Slovakia), and Body & Soul (Ireland). The awards themselves are made entirely of reused materials that include salvaged tents by I Dress Myself and reclaimed wood turned by Steve O’Neill. The next batch of winners, which will include events that take place in the Southern Hemisphere, along with winter events in the Northern Hemisphere, will be announced at the annual Green Events & Innovations Conference – taking place on March 6, alongside the International Live Music Conference (ILMC). 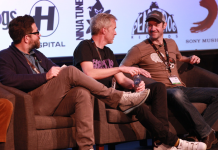 The Green Events & Innovations Conference (GEI) is where festivals and events that participate in the awards come together with individuals whose energy and expertise help increase awareness of sustainability within the music and event industry, sharing best practices and tackling common challenges. The Green Events & Innovations Conference takes place in London on March 5. Applications are now open for the Greener Festival Awards 2019. Events should contact hello@agreenerfestival.com to apply.